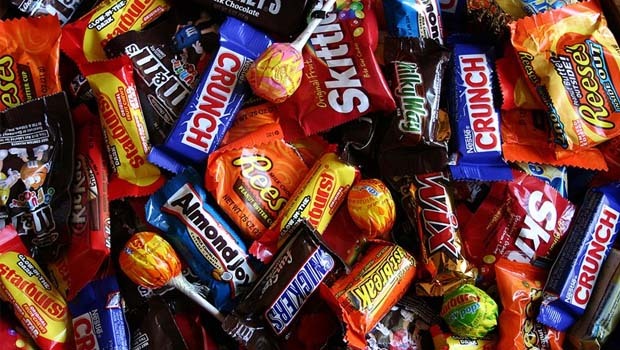 Halloween Candy Buyback Metro Detroit 2018 – Oakland County and Metro Detroit, Michigan Halloween candy buyback and Halloween candy donation programs.Kids can bring in their excess Halloween candy and trade it in for cash! In turn, the dentists will then donate the candy to a good cause. Cash for candy! The Gentile Dentist will buy back Halloween Candy for $1 per pound. The candy will then be sent to one of several local charities such as Kids of Detroit and GFAGC(Gifts for All God’s Children), and The Power Company in Pontiac. Stop into any office with a parent or guardian to donate excess pounds of goodies to the troops for a chance to win one of several prizes. For every pound of unopened candy brought in, children will be given a raffle ticket for a chance to win a prize. They could even win a Nintendo Switch or other great prizes. The more candy a person brings in, the more raffle tickets they will receive (up to 10 pounds per person). See Sterling Hts Info above for Bright Side Dental Info. 9th annual Halloween Candy DONATION. Sheriff Michael Bouchard also encourages parents and children wishing to participate to include notes (thank you, holiday, etc.) to the troops with the donation. Schools wishing to do candy collection with students may participate. Please designate one volunteer to bring collected candy to Sheriff’s Headquarters in Pontiac no later than Monday, November 5 at 4p. Bring in your unopened candy and Fortson Dentistry will give you a dollar for every pound. Fortson Dentistry will be donating candy to the CARE House of Oakland County for child victims of abuse and neglect. Your candy donations will make a child’s day. See Bloomfield Hills Info above for Bright Side Dental Info. First annual candy buyback. For each pound of unopened candy, children will be able to pick from toy selection and receive a raffle ticket for a grand prize. Parents are also welcome to join for cider & donuts and prizes. For more info, call 248-682-6911. See Livonia Info above for Bright Side Dental Info. Lastly, if you want to donate any excess Halloween candy, check out Operation Care and Comfort’s website. This non-profit organization collects candy from across the US and then ships it out to the troops for a much-needed treat! Other creative ideas for the excess Halloween candy? Keeping it on hand to stuff the next birthday pinata or treat bags for your child’s next birthday party! All research and formatting for this Halloween Candy Buyback page provided by Oakland County Moms. Unauthorized duplication of this content without express consent is a violation of our Terms and Conditions and Data Security policies. Violators will be reported to Google Support for infringement violation. See our events tab for more Halloween events and things to do in Oakland County and Metro Detroit, Michigan. Contact us if you want us to list a Halloween Candy Buyback program that isn’t listed on this page.